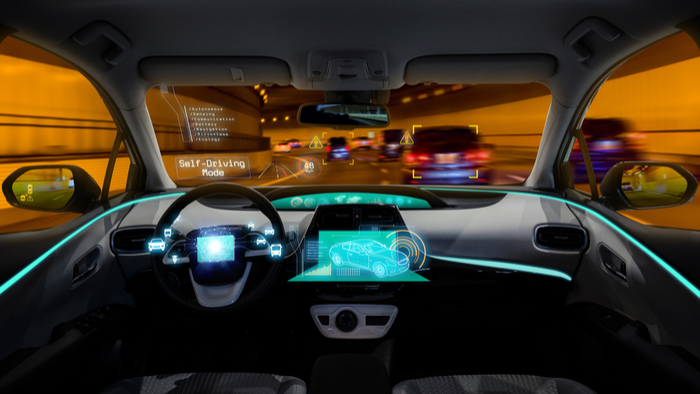 • Bryan K. Barnett, mayor of Rochester Hills, Michigan, shares the potential and promise he and other mayors see for the future of autonomous vehicles. • How can philanthropy work to support the use of autonomous vehicles to help those in need? How can philanthropy help to mitigate the potential problems of autonomous vehicles? • Find out how Minnesota is working to reach zero highway deaths. During June’s 86th Annual Meeting of the U.S. Conference of Mayors, I had the privilege of moderating a panel of mayors and industry experts on the topic of “Autonomous Vehicles and the American City.” The evolution and adoption of AVs will change our cities and the way we live, forever. Recent surveys suggest that most Americans (70 percent) believe autonomous vehicles will be quite common within 15 years. But 74 percent say they don’t expect to have one and 65 percent say they wouldn’t want to walk or ride a bicycle anywhere near one. When it comes to public funding, studies suggest that AVs will reduce revenue streams from traditional sources like parking, parking tickets, traffic citations, as well as prompt changes in use of mass transit, and reduction of sales tax collections on fuel, given AV electrification. We’re asking ourselves: Will distance-based road charges replace lost fuel tax revenue, as Bloomberg Philanthropies believes could happen? And who will get the traffic citations in the event of an accident involving AVs? We expect job loss to stem from the growth of AVs, especially within the ranks of professional drivers for trucking, transit/taxi, delivery vehicles, and postal service delivery. On the flip side, job growth may come from the conversion of parking structures to other uses and jobs generated through the IT needed for the potentially massive AV roll out. In addition to providing mobility for non-drivers, older citizens, and the mentally and physically disabled, AVs will improve traffic safety. Currently, 94 percent of U.S. vehicular crashes involve human error and over 35,000 U.S. motorists lose their lives each year in vehicle crashes, according to the National Highway Traffic Safety Administration. Read the full article about autonomus vehicles by Bryan K. Barnett at Route Fifty. Giving Compass' Take: • The Case Foundation discusses the applications of open source technology to philanthropy, specifically how it can create more transparency in the digital arena. • Many organizations can be slow to adopt new forms of tech. Would open source help accelerate progress in the nonprofit sector? • Here's more on why open source tech matters in a for-impact future. Open source software, by its simplest definition, is a work of software whose source code is available for others to read, study, modify and redistribute with little restriction other than that the free access is maintained. Earlier this week, I wrote in an op-ed in the Stanford Social Innovation Review (SSIR) about how we at the Case Foundation see open source as another form of philanthropy — a digital one whose contributions influence the success of many by providing publicly accessible software. In the article, I shared how we see the potential of open source software and how it can spark innovation, accelerate social good and ultimately help change the world. Building on the early work of Jean and Steve Case — pioneers in the democratization of information with AOL — technology has always been a crucial part of how the Case Foundation works, and our tech-centric legacy has led us to champion early ideas that are now commonplace such as online giving and digital advocacy. In the course of that work, we have often used open source technologies because of their scalability and opportunity for customization. Giving the technology we create for projects at the Foundation back to the open source community is the next logical step. As we take on new challenges and new campaigns that serve our movements, we will also begin to take the time to ask ourselves and the community if a project that we think would be good for our efforts would also be good for others’ efforts. If that is true, we will dedicate time and resources in the project to open source the components that the community needs. Our contributions will always follow the needs of our broader goals, and we will open source the work in which we and the community find of real value. Read the full article about open source tech philanthropy by John Jones at the Case Foundation. If you are ready to take action and invest in causes for Civil Society, check out these Giving Funds, Charitable Organizations and Projects related to Civil Society.